In the studio, I am constantly thinking ahead to new pieces, experimenting with various ideas and techniques. The result has been a steady evolution in my work, a refined and nuanced intensity in surface decoration on wheel thrown porcelain shapes. I have consistently been inspired by textiles and fibre techniques - Persian carpets, Fair Isle knitting patterns, batiks from around the world. 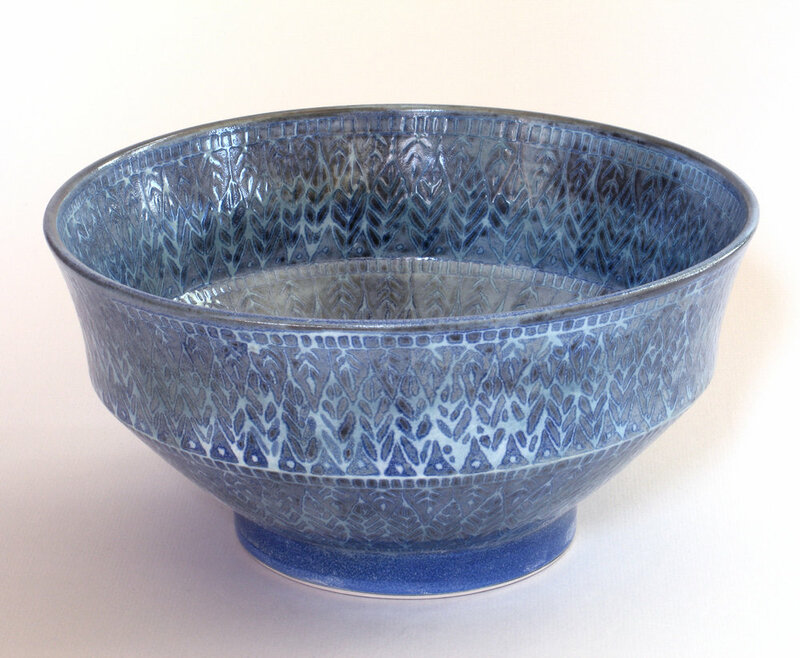 Throughout the majority of my career, I have used wax resist and underglaze colours on high fired porcelain fired in electric kilns to apply layered patterns to my forms. 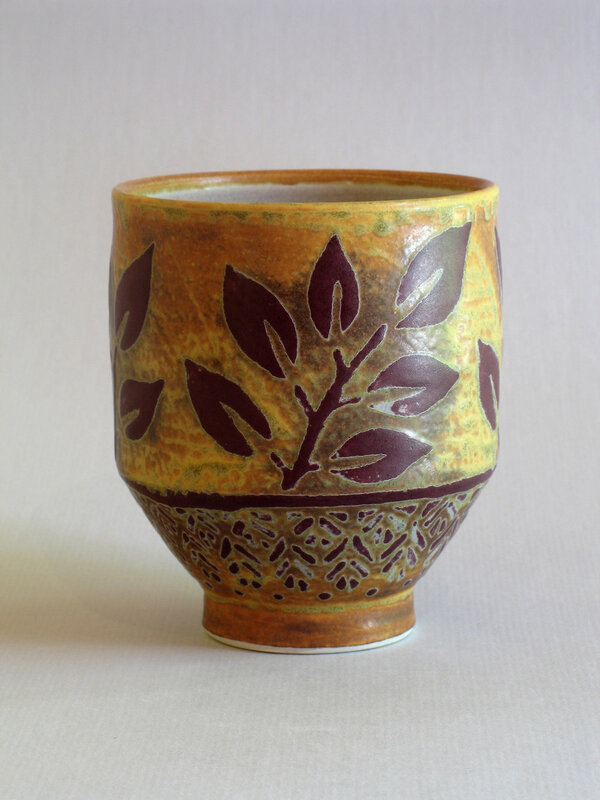 After receiving a BA in Visual Arts and a BA in education, I have been working as a studio potter for 42 years. With the exception of occasionally giving workshops and classes, my partner/husband and I have made our living as working potters. Since 2001, we have been running a gallery attached to our studio in Wakefield Quebec where we sell our pottery. I have been a participant in 260 Fingers in Ottawa since it first began.